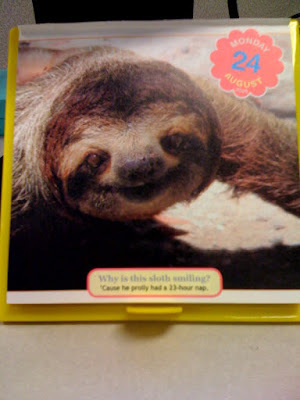 The caption reads "Why is this sloth smiling? 'Cause he prolly had a 23-hour nap". I need a 23-hour nap.